When it comes to increasing e-commerce conversions, few things are more helpful in the process than live chat. But the process of installing a responsive, user-friendly live chat, coupled with the increased expense of hiring additional employees or agents to staff it (to say nothing of onboarding them as to the most common questions and concerns about your products or services) can be a huge undertaking, costing you both time and money. Fortunately, technology has once again stepped up to the plate to help provide a seamless, human-like experience in the form of e-commerce chatbots. Simply put, a chatbot is a program that runs through your live chat and allows visitors, prospective customers and current customers alike to have intelligent conversations, get support, have their questions answered and much more. Many well-known companies use chatbots to provide a more one-on-one experience, much like a sales associate helping you in a retail shop. Chatbots can offer product suggestions based on answers that you provide (such as completing a quiz), make recommendations and much more. Many chatbots are so refined that you might even forget you’re talking to a software program! 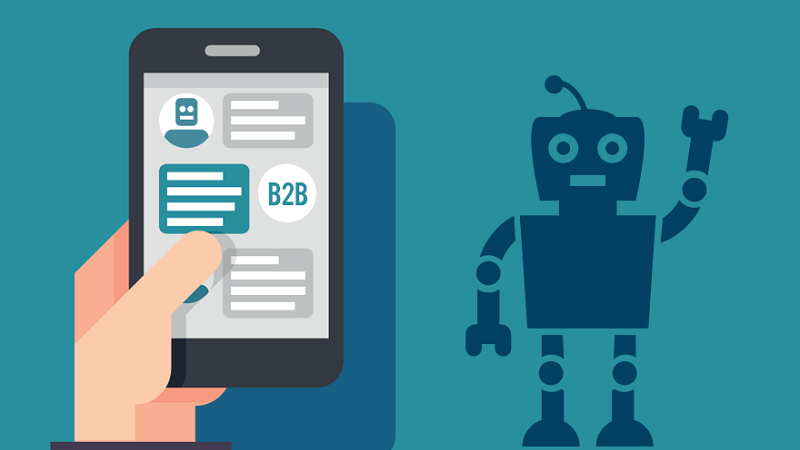 The entire concept of using chatbots as a channel to help promote, enhance and close sales is known as “conversational commerce”, and although it might sound like another marketing buzzword -- the effect it has on conversions cannot be denied. The rise of chatbots can be attributed to a simultaneous rise in the use of online messaging programs. According to a study by Hubspot, people are more than happy to conduct business and chat with a Chatbot. Perhaps it’s that they feel they won’t be “sold to” the way they can be with a traditional live agent-staffed chat. Not only that, but nearly half of respondents surveyed said that they would be willing to purchase through a chatbot. Over 70% are happy to receive support through an automated assistant, meaning that this could represent a very large, lucrative and untapped market that can boost your bottom line. Perhaps more importantly, chatbots don’t have a queue or a hold time until you’re “connected to a live support agent”, meaning they can use the chatbot to get on-demand help when they want it -- which is often when they’re ready to move forward and make a decision. What Types of Chatbots Can You Use for Your Business? There are two main types of chatbots. The first is a rules-based chatbot. This is where a rigid set of “rules” are programmed into the chatbot, and trigger “keywords” that, when used by the prospect or visitor, allow the chatbot to provide answers that fit those criteria. Instead of trying to glean meaning from the user’s question, rules-based chatbots have a more narrow focus. This may seem counter-intuitive, but rules-based chatbots have several advantages. They’re more cost effective and faster to set up and start benefiting from right away. If your product or service has a rather simple suite of features or options, setting up a rules-based chatbot that can answer specific questions tailored to those points may be a good option. The other type, an AI-based chatbot, learns from its interactions with your customers. This is not to say that you’re starting from “ground zero” with artificial intelligence, as you may be surprised at how quickly these bots learn and improve. The longer they’re in use, the more they can identify complex queries and language to deliver more personal, “human” solutions. AI chatbots are often used in situations where there is a wide range of variables or options that could comprise a question. Medical establishments, technology vendors and even clothing retailers often leverage AI chatbots to help “diagnose” symptoms, suggest hardware or software, or even personalize and recommend an outfit based on a user’s specific needs. Whatever the question or concern, there’s a chatbot out there that can handle it. Just as there is a wide range of live chat companies on the market, so too are there a variety of companies selling chatbots with varying degrees of customization and intelligence. Many companies, including Facebook, allow you to build bots that can be launched on their Messenger platform. This does, however, mean that you’ll need some advanced coding skills to create the various scenarios where the bot would answer accordingly. Other services allow you to essentially “drag and drop” to build your chatbot, but are limited in terms of the functionality. As with any technology purchase, it’s a good idea to research your options carefully to determine which chatbot will most closely meet your needs as well as the needs of your users. Finally, like all good conversion tools, chatbots also have their own set of analytics. In many cases, you can see records of the conversations that users have with the bot, as well as see how many of those conversations ultimately led to a purchase through the bot. Having information like this can provide a wealth of insights into customer shopping behavior, and with greater sophistication now possible through live chatbots, there’s no better time to get started with this innovative e-commerce channel.